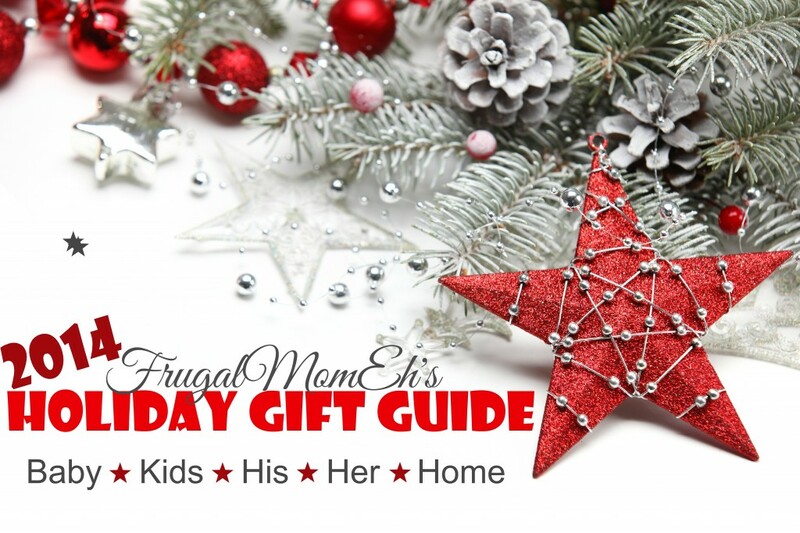 Holiday Hits from Mastermind Toys #FMEGifts2014 - Frugal Mom Eh! Mastermind Toys, Canada’s largest specialty toy retailer, has put together an amazing 40-page Gift Guide featuring gifts ideas for every kind of kid on your list. I love looking through the Mastermind Toys Gift Guide, it is full of amazing toys I have not seen anywhere else and easily represents the kind of selection you can expect from Mastermind Toys. Some great items in the Gift Guide include Hydro Sound Water Speakers – Ages 8+ ($34.99), Stiga Snow Kick – Ages 8+ ($59.99), Circuit Board RC Skateboard – Ages 8+ ($19.99 – $49.99), Indoor Snowball Shield Set – Ages 6+ ($24.99) and the Pirates’ Den or Royal Princess Play Tent – Ages 3+ ($29.99). If you are near one of their 32 locations across Canada it is definitely worth it to head in store for a little extra help by their friendly staff with picking out the perfect gift for each little one you need to shop for. We were sent the B. Baa Baa Barn, featured in the Hit List, to check out with the girls. I already knew it would be a hit with them and I wasn’t disappointed. I’ve actually been looking at a few different farm/barn toys for the girls but when I saw this one on Mastermind I fell in love. It has so many incredible interactive features there was no way I could resist. It is meant for kids 1 and up which is perfect since Ava is turning one next week and Keira turns three in January. I love having toys around they can both play with and learn to share. Ava’s favourite part of the barn are the two balls that can be dropped down a ramp int he silo. One ball has little ears of corn and the other has little beads inside. She mostly loves clacking them together but they do make their way down the silo every now and then. Keira loves placing the four included animals, a sheep, a cow, a pig and a horse, through the barn doors to make them play their respective songs with animal sounds. There is literally a surprise at every turn, including the handy handle that allows your child to carry it around everywhere. Guys, I feel like this barn literally follows us from room to room. Keira won’t let it out of her sight! This is seriously an A+ toy and I would definitely buyt it again if I had to. Doors open and close. Windmill spins. This is just one example of the type of high quality and pretty amazing toys to be found at Mastermind Toys. Pssst! They also have a huge amount of Frozen related toys and puzzles which are sure to be huge this year! All gift guide items are available online and at all Mastermind stores, totalling 36 Canadian locations and ships across North America and offers complimentary in-store gift wrapping, plus personalized gift tags for all online orders for easy one stop shopping. 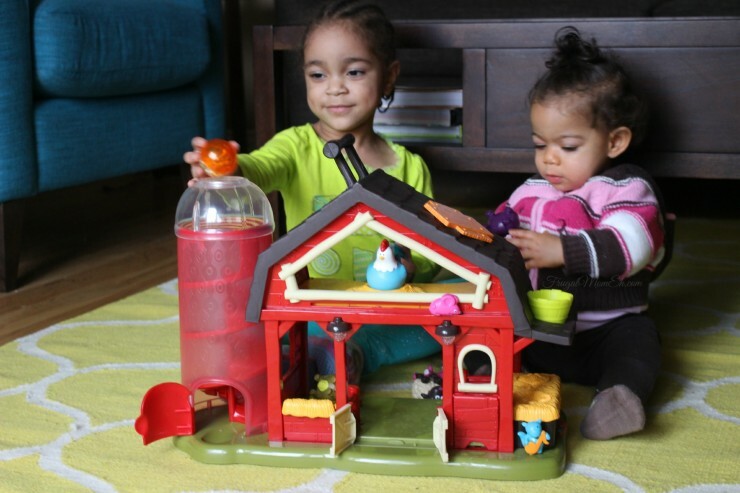 One Canadian Frugal Mom Eh reader will win a $100 Mastermind Toys GC! Winner can choose to pick up gift card in-store OR have it mailed to them. Giveaway ends on December 20th 2014 at 11:59 pm EST. See Giveaway Tools form for entry and T&C. I would buy one of the Our Generation Doll for m niece! One of the Our Generation Dolls for my niece! I would buy a stiga snow racer if i won! I would buy some Lego! Lots to choose from too! I would buy LEGO friends for my two daughters! They just love building and playing with them. I’d buy Lego. Probably Star Wars or the Minecraft sets. Definitely the plasma bike. How cool is a bike that you dont even have to pedal? I’d get the Magna magnetic building tiles for my nieces. We’d get some new floor puzzles. I would put it towards the LEGO Friends Heartlake Shopping Mall that my daughter really wants. As much LEGO as possible! I would most certainly buy a Perplexus! I would get my son the LEGO® City Coast Guard Patrol! I would choose some Disney Frozen Puzzles. My granddaughter is only 3, but she just loves doing puzzles! I’d purchase this set: LEGO® Star Wars Jedi™ Scout Fighter. I have to say I would definitely buy the barn. It is one thing I loved to watch my older two play with and this is much cuter and more colourful than other brands. I think Bella would enjoy it just as much as your little ones do! I would definitely buy Lego and this farm is just way too cute! I think my son would love it! I would buy the Hydro Soundly Water Speakers for my daughter she would absolutely love them!! Love mastermind toys! Would get a Baby Stella and Lego! They have Lego Mastermind sets and one of my grandsons REALLY wants them for Christmas. I would get the science kit or my son! The Cloud B Sunshine Owl Blue would be on my list…Loving owls these day! I’d also get lego! I would buy another 6 ft. X 3 ft keyboard mat for my granddaughter. I already purchased one for a gift and it was such a huge sucess! They loved it and said it was “so cool”! I’d buy my daughter a whole bunch of Corolle doll accessories! If I won the Mastermind $100 gift card, I would buy LeapPad games for his LeapPad Ultra that we purchased for him for Christmas this year! Definitely a boogie tablet and lego. I would choose Lego as far as I know now. I would buy Lego for the grandchildren. I saw Minecraft lego on the site. I’d get the Battle Sheep boardgame and the Mexican Train dominoes in the metal case. That cool new snow scooter! I’d get an our generation doll for my daughter! I would buy the Beep Beep Parking for my little grandson. The Hexbug Vex Robotics Strandbeast for my grandson ! My kiddo would definitely get a Gigantic 6′ Piano Playmat if I won! I would buy some MagnaTiles for my daughter. I would buy some lego for my nieces! An Our Generation Doll for my little girl. No question: I’d get the Lego Minecraft set. I’d buy a few really cool Lego sets. Mastermind Toys are the best. Snap Circuits! My son was able to play with some a while ago and he LOVED them!! 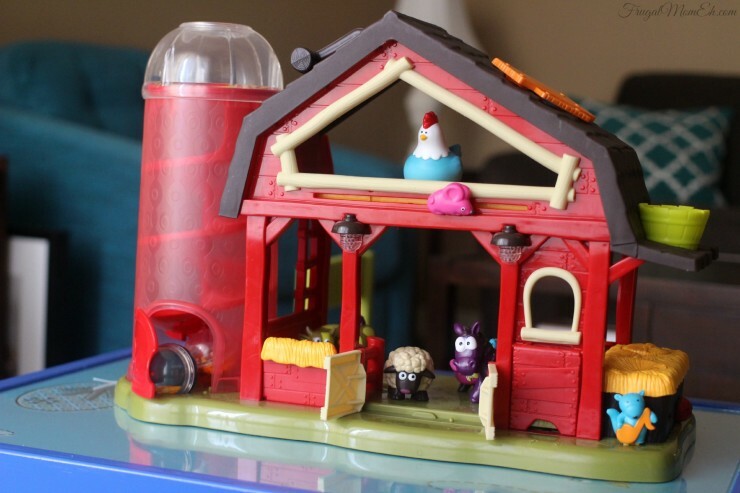 The B. Baa Baa Barn would be a hit with my granddaughter so I would buy that and some clothes for the Corolle Doll. I would buy the Sands Alive Indoor Sand Set Neon Frenzy and the Lego Minecraft set. I’d get Playmobil for my son. The Duplo pink box, a Mooshka doll, and I`m not sure what to use the rest of the giftcard for yet. I would get the Beep Beep Parking for my nephew. I’d buy the Kendama. I’ve been looking everywhere for this since the one I bought in Japan broke, but couldn’t find a store anywhere in Canada that sold it . . until Mastermind Toys! I’d get a Zoku frozen treat maker & the slushie maker!! My youngest son wants some Star Wars Lego. A large walker of some sort so the gift card will be really appreciated!! I’d buy the Barbie dream house and some Hot Wheels. I would get and Etcha Sketch and Kapla blocks. Lego – it’s always Lego..gotta give them what they love! I’d buy a Keter Sand and Water Play Table and a bunch of Caillou and Frozen books. I would buy the Calico Critters Townhouse with Lights for my daughter! Definitely LEGO, my son loves it and can sit for hours building! Such a great selection! We would definitely order some LEGO Minecraft toys! Lego for my boy and for my girls (friends lego for the girly’s 😉 )!! My Grandchildren all love lego , so a lot of it. Boogie Boards in every colour ! I would buy a lego set for my nephew! I would love to get Lego Minecraft for my daughter! She loves them! I would like to buy those Dancing Water Speakers, they look like a good time! I would love to get a plasma bike for my son! My granddaughter would love a Our Generation Doll! I would buy the Fantasma Ultimate Legends of Magic 300 Trick Show Set. I have been eying the Haba space ship and the kapla blocks for my students. I would get Sands Alive! We just had the opportunity to play with it on the weekend and my son LOVED IT!! Ghostbuster Lego and snow makers, my son would be so happy. The Sands Alive 5lb Deluxe Indoor Sandbox Set with Tools and Tray and the Gigantic 6′ Piano Playmat – great items! I would be purchasing Lego for my grandson. I’d get the Quadrilla by Hape….not sure who loves it more, the kiddos or myself! 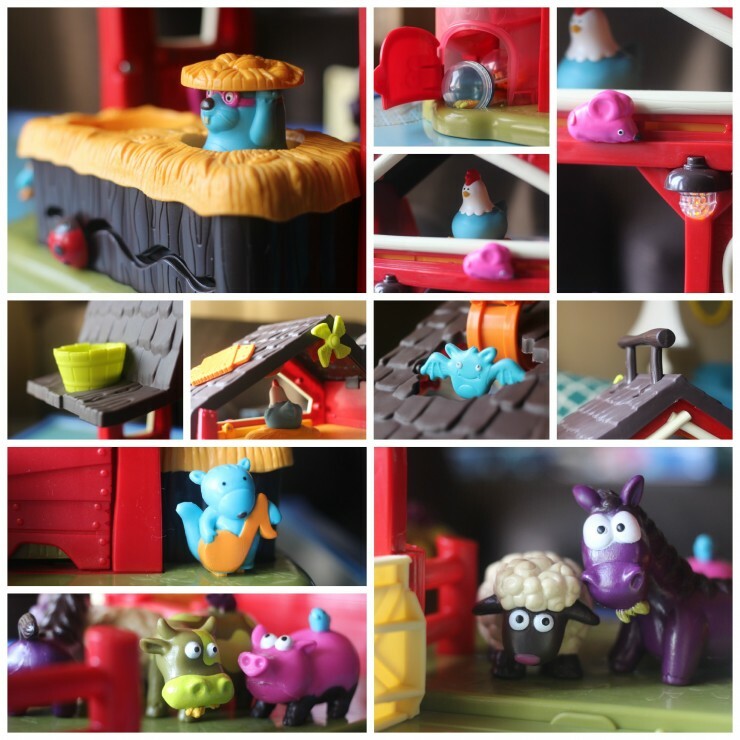 I would buy the B. Baa Baa Barn from Mastermind Toys, thank you! I would get the Razor “A” Kick Scooter – Clear. A Thomas Train Table for my little guys! Leapfrog LeapPad Ultra is something my son would have the greatest days with! Thomas & Friends – Cranky the Crane would be on my guys Wish List. Lego or perplexus although there are so many neat toys to choose from! I would buy some of those Hexbugs toys. I would buy a Lego kit for my nephew. I would buy a whole bunch of the puzzles. A boogie writing tablet in pink and lego. iI would get the lego mastermind set. Probably the plasma bike. DD loves her plasma car. Oh my goodness, I could look at the toys for ages. I think that I would probably get him the Playmobil Take Along Animal Clinic as he loves to play doctor for us and our furbabies. I’d buy the 3D Eiffel Tower puzzle that I saw in the Ontario Science Centre. I like the LiteHawk Champ RC Tunnel Boat 2.4 GHz. I would buy a Lego set for my nephew. I would choose Spy Alley Game. Our grand children would love Starwars Lego. Jumpsmart electronic trampoline 🙂 looks like fun!